Based on data gathered in 2016 we made modifications to our annual Valentine's Day strategy for Bloom by Doyle's. The results were TREMENDOUS. We doubled our reach from the previous year by simply adding the dynamic of couples vs. a single female model in the campaign. The two main images from the campaign reached almost 20,000 people for $30 in Facebook ads. In addition to wedding booking inquiries & increased flower sales, we also increased their FB page audience by an average of 7 likes per day (almost 200 likes) over the 4 week campaign cycle. This post had $15 in ad spend. We chose 5 couples from the comments to model for us. FB ENGAGEMENT: 90 likes, 114 comments & 18 shares reaching over 9k people in a week. One of the couples, Jesse & Mercy Connors became our featured couple. We used them for the cover photo, profile pic & giveaway image. Their photo also received a $15 ad spend for a total of $30 spent on FB ads. FB ENGAGEMENT: 235 comments, 205 likes & 24 shares reaching over 10k in a week. 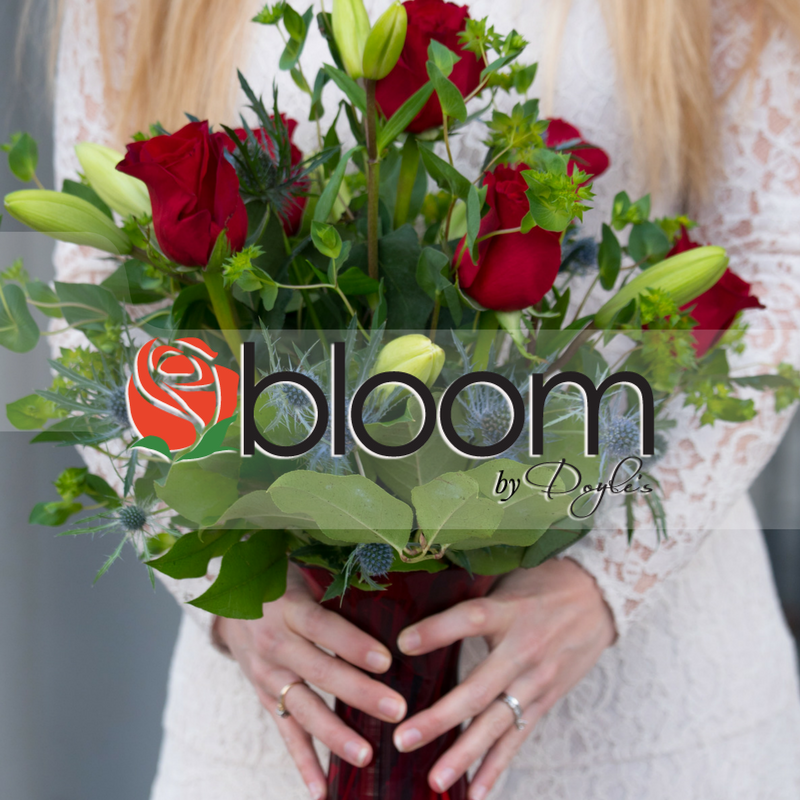 After the giveaway we scheduled posts to promote the other flower arrangement available for Valentine's Day.